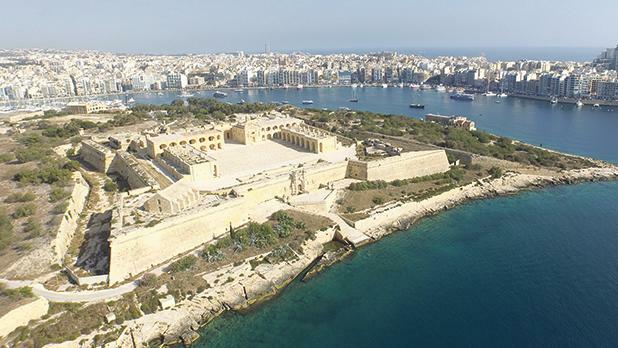 A committee overseeing the protection and public access to the Manoel Island’s heritage buildings, foreshore and green areas will be meeting on Tuesday to discuss developers’ plans for higher buildings in the area. The meeting comes after Midi applied to increase the height of several planned residential complexes by around four metres, among other changes, to their mega-development master plan. Asked whether the guardianship committee was informed about the changes, Gżira mayor Conrad Borg Manché said a meeting will be held on Tuesday. “We are meeting so that they can pass on details of the changes,” he said, adding it was imperative that the developers respected the agreement. “After such a fight, we will definitely not give up the last battle,” the mayor said. Developers and activists opposed to Midi’s plans had called a truce after reaching an agreement to set up the non-profit Manoel Island Foundation, headed by environmentalist Claire Bonello, Mr Borg Manché, Gżira deputy mayor Ralph Mangion and Midi chief executive Mark Portelli. This foundation is meant to act as a watchdog of the commitments set out in the guardianship agreement, including the landscaping of the glacis surrounding Fort Manoel to create an 80,000 square metre public park. Among others, the guardianship deed stipulates that building heights have to be limited to those approved in the planning permits, with Midi binding itself not to increase building heights over the approved ones without the consent of the stakeholders. New plans submitted to the Planning Authority in September would increase the height of the planned apartment blocks on the landward side of Manoel Island to four storeys, or 18.5 metres, instead of the three storeys (14.5 metres) in the original master plan submitted last year. In exchange, the new plans eliminate some of the previously-planned blocks, with the cleared footprint designated instead as “private open space”.